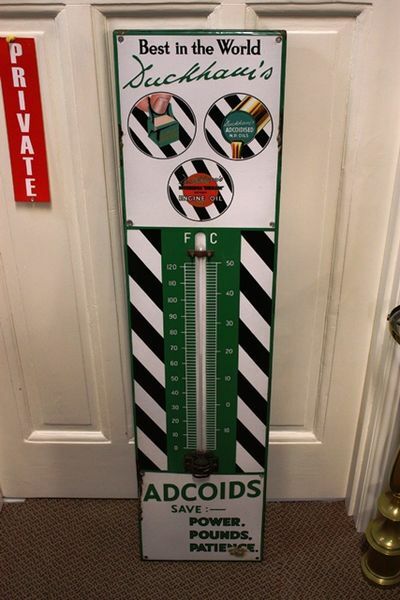 Genuine Duckhams Adcoids Enamel Wall Thermometer. Genuine + Very Original Duckhams Adcoids Enamel Wall Thermometer. In wonderful condition with no restoration. 28cm x 116cm.